Italotreno promotion code: up to 50% discount off high-speed trains! Return flights from Madrid to Tanzania (Kilimanjaro, Zanzibar, Dar es Salaam) from €381! USA – Cheap return flights from the UK to Florida from £199! To apply Italotreno promo code simply enter the code at main page of the company while you fill in route and travel dates. There is separate box “promotion code” left to the search button. Enter the voucher and hit search. Your next ticket will be automatically discounted. Be informed that there is no note about the discount you would have to compare with original price if you would need to know amount of discount. 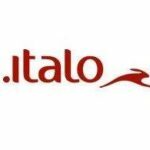 Italotreno official conditions of this promotion says that Italo promo code grants up to 50% discount off standard tariff..
Italotreno promotion code is valid for travel until 8th of September 2019. There is no minimum purchase simply use the discount on the route you like. However it is valid for bookings made by 23rd of April.